Visualize your team’s work across boards and lists, and track trends over time. Trello is ubiquitous for tracking tasks and lightweight process, but the lack of reports for Trello prevents teams from understanding important bottlenecks. Jama Analyze directly connects to Trello and provides templates for tracking flexible metrics, including: the number of cards in a list, number of cards in a list assigned to a team member, number of cards on a board assigned to a team member and number of past due cards on a board. With these templates, you can create metrics to track throughput, work in progress, iteration flows and more. Simply authenticate with Trello and select a metric template to start building your custom Trello metrics. Consolidate information from across boards, lists and team members to finally have the Trello reports you need. 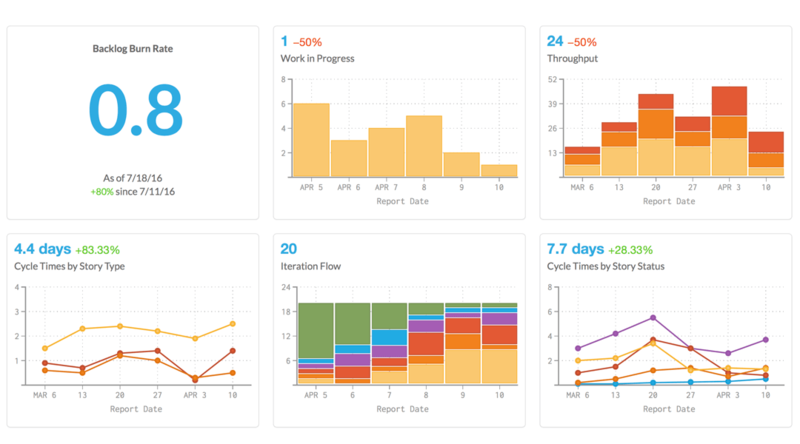 Group metrics on dashboards and build reports that can be easily shared outside of your group. Imports run each night, so you’ll be able to visualize important trends in your Trello data over time.